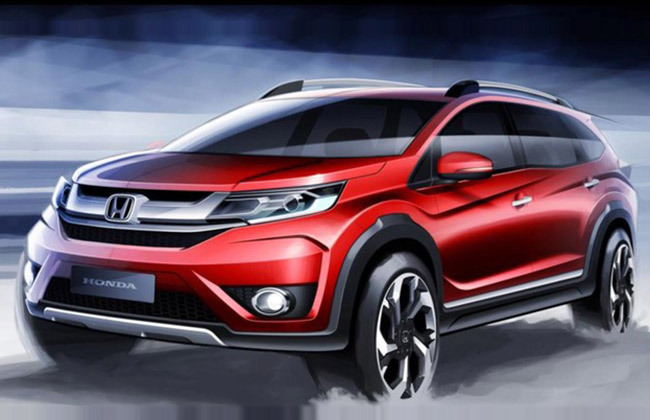 AutoCarIndia reported that Honda’s new small SUV Honda BR-V would be making its first global experience in coming days. 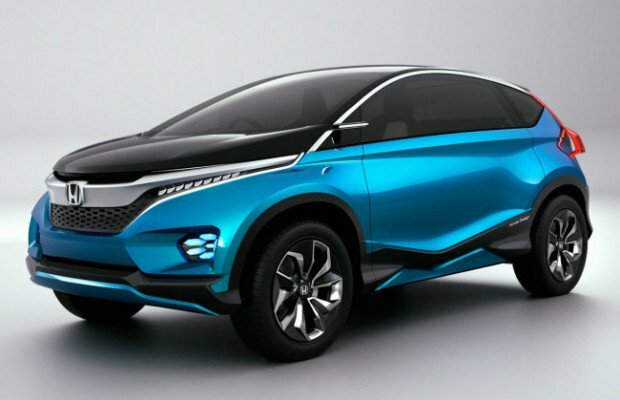 Honda would also feature this upcoming BR-V SUV to Indian audience at Auto Expo 2016 in India. We earlier expressed our doubts if BR-V is heading to India or it is confined to Indonesia and other global markets. The all new Honda BR-V will be based on Brio, Amaze and Mobilio platform. 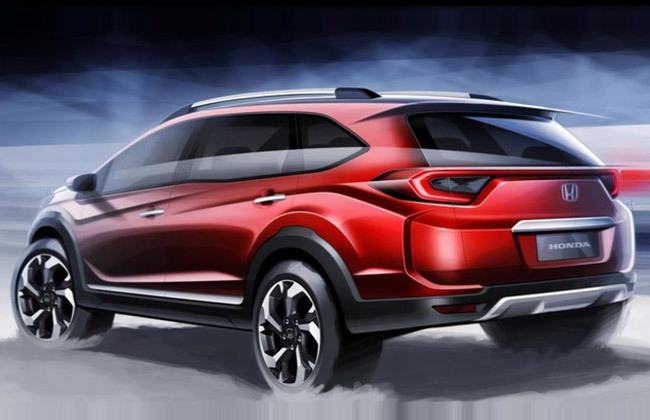 Honda BR-V looks more angular and rugged if you check out the photos. When it comes to the dimensions, at 2,652mm, the wheelbase is similar to that of Honda Mobilio, there is also a possibility that BR-V’s engine might get an update. While other Honda cars like Amaze and Mobilio have 5-speed gearbox, Honda BR-V’s engine will be mated to a 6 speed gearbox (manual). BR-V from Honda is expected to exist in 1.5-litre petrol and the 1.5-litre diesel variant. There are reports that the new six-speed gearbox would have optimised ratios for better engine response as well as out-performing fuel efficiency. The upcoming Small SUV would also offer CVT gearbox. This CVT gearbox which is mated to the petrol engine is developed specifically for BR-V that uses Honda’s Earth Dreams technology. One important aspect about BRV’s design is that the carmaker has particularly focussed on giving Honda BR-V a SUV-like design cues which includes the butch cladding that runs around the entire car, the rising beltline, the pronounced wheel arch flares as well as the roof rails. Honda BR-V interiors are also likely to get updated dashboard designs to attract car buyers in India. The car will be having three rows of seat which is quite surprising as it measures less in length.